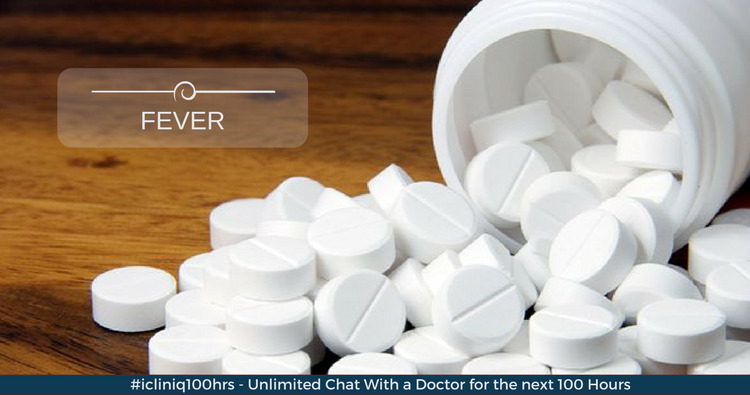 iCliniq › Ask a doctor online › Answers › General Practitioner › Fever › Can I take Cetirizine and Paracetamol for fever? Q. Can I take Cetirizine and Paracetamol for fever? Answered by Dr. Geethu Thomas and medically reviewed by iCliniq medical review team. When I have the fever, can I take Cetirizine in the morning and then Paracetamol in the afternoon? • Can Paracetamol, antibiotics, and Cetirizine be taken with pregnancy medicines? You mentioned that you have the fever. You can use Paracetamol. You can take it up to three times a day and can stop if your temperature comes down. Now, coming to Cetirizine, it is used for allergy, cold, etc. If you are having a flu type of fever, that is, fever with the cold or itchy throat, then yes you can use it along with the Paracetamol. I suggest you take both the medicines together. You can use Levocetirizine, which avoids sleepiness. Hence, you can be focused in your work. Consult your specialist doctor, discuss with him or her and take medicine with their consent.